BONE Structure was established in Montreal in 2005 by founder and president Marc A. Bovet as a consequence of him being aware of shortcomings in conventional building techniques. Calling on his senior management experience at aerospace and transportation manufacturer Bombardier, he set about gathering a team of more than sixty engineers, architects, industrial designers and interior designers to develop the steel construction system behind BONE Structure. BONE Structure's patented light weight, recycled, galvanised steel frame construction system was inspired by Lego and Meccano. No nails are required and pre laser-cut components simply snap and screw together. Living spaces can be as large as 7.5m × 7.5m without the need for load-bearing walls or bulkheads. 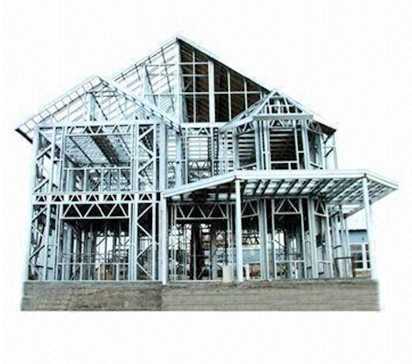 Bone Structure homes can be erected considerably faster (a 3,000 square foot home takes about four days) than traditionally built structures and costs start at approximately US$250 per square foot. The exterior consists of precut polystyrene sheets covered with a soya-based polyurethane foam. The insulation allows for a wall insulation rating of R28.5 and the roof R56. BONE Structure’s prefab components are designed and manufactured in Quebec with similar technology to that used for the precise manufacture of aircraft and automobile parts and allows for significant advantages over traditional building methods. The precision manufacturing process creates a stable and accurate structure for the building’s lifetime.